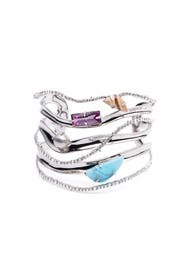 Crystal accents and 10K gold swirl around a universe of gems nestled in this Alexis Bittar Orbiting cuff. 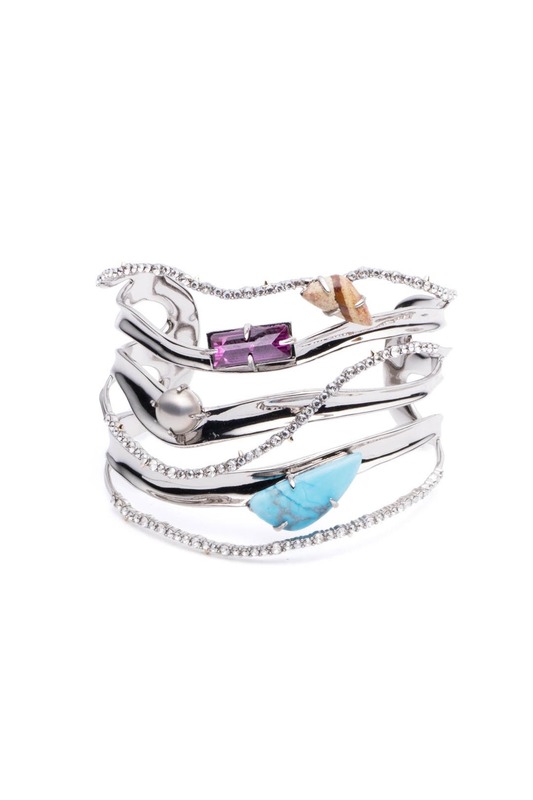 Rhodium plated orbiting cuff with pave crystal accents, turquoise and pink corundum stones. Open back. 2.6" in diameter.